It seems that the national and international business tycoons have finally risen up to Indian sports market and have acknowledged the potential which it offers. Joining the ranks of UB Group and Prayag Group is the Dubai based multibillion dollar enterprise Dodsal group owned byAi? ?Rajen Arvind Kilachand, who launched their own football club -Dodsal FC, earlier this year. The football club will be based in Mumbai and has already registered themselves withAi? ?Mumbai District Football Association (MDFA)Ai? ?as well as theAi? ?Western India Football Association (WIFA). The Kilachand family is rumoured to be quite close to the owner of Manchester City,Ai??SheikhAi? ?Mansour and they have promised to light up the Indian football circuit with big names in near future.Ai? ?Sources confirm that Dodsal FC is almost certain to feature in the second division of the I-league next season but will have to register formally with AIFF in January before everything is finalized. The club is yet to play in the second tier of Indian football but they have made their intentions pretty clear from day one of their formation. Their ambition is to become the first IndianAi? ?to reachAi? ?the final ofAi?? Asian Champions League and if possible, win it. Many would rubbish the clubai??i? ?s future plans as a mere figment of their ownerai??i? ?s imagination but considering the effort which they are putting in to set up their team, one might actually see a miracle on the horizon of Indian football. Dodsal Group- Taking India the Manchester City Way? The Dubai based group looks likeAi? ?a real deal and they are leaving no stone unturned as far as the facilities for their players are concerned.Ai? ?The team will be based at Fr Agnel high school in Mumbai, which boasts of a multi-crore state of the art sports complex. Its multi-sport artificial turfAi? ?is one of its kind in theAi? ?country and has received rave reviews from former India footballer Henry MenezesAi? ?as well as former Indian hockey captains MM Somaya and Dhanraj Pillay. The club has already started recruiting as they signed ex Air India coach Bimal Ghosh, who wasAi? ?unceremoniously oustedAi? ?from the club after spending seventeen years at the club, as their technical director. The former Air India coach is an astute tactician and he has moulded the career of many players during his stay with Air India. He will bring invaluable experience to the plate and his presence is expected to work wonders for the newly launched club as it will have to be built from the scratch. Joining him in the management will be former Indian international and Pune FCai??i? ?s assistant coach Mahesh Lotlikar who has been roped in as the Assistant coach at Dodsal FC as well. Lotlikar who used to play for Goan giants Dempo SC will have former Indian international Chandrakant Naik as Dodsal FCai??i? ?s goalkeeper coach. Naik is really excited to step into the shoes of a coach after having played in the Goa league for a record three decades. Noises coming out of the club suggestedAi? ?they areAi? 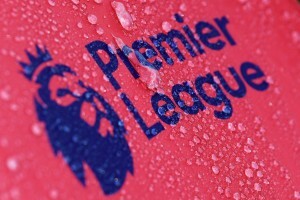 ?looking to appoint a foreign coach for their main team but the final decision is yet to be taken. NP Pradeep: Will his fortunes change with the switch? The first of the many objectives for Dodsal FC is to make it to the first division of the I-league in their second year itself and for that they have already started building up their squad. A number of domestic and international signings were promised and so far the club has lived up to their promises. Lets take a look at some of the players who will feature for Dodsal FC in the next season. Rafi was amongst one of the first high profile signings that the Mumbai based club did as they got him for free from Churchill Brothers. The thirty year old Indian forwards will be an important cog in the wheel for the club and his presence in the box will add some much needed depth and experience to the squad. 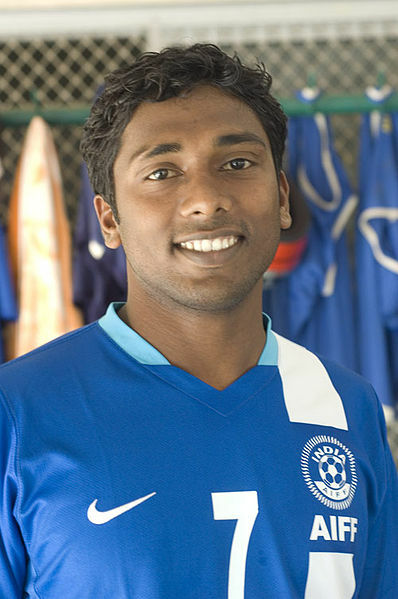 Arriving from Mohun Bagan, Pradeep would be hoping to revive his career with the Mumbai based outfit. The midfielder had a less than impressive year with the Kolkata giants in 2011-12 but he has proven his mettle time and again with the national side which made Bimal Ghosh to pick him. Pradeep is no longer the player he once was but his ability to switch from a midfielder to a defensive role willAi? ?add a lot of flexibility and variety to Dodsal FCai??i? ?s squad. The full back Surkumar also signed up for Dodsal FC along with his club and national teammate NP Pradeep. Surkumar might beAi? ?ageing but he is still known for his lung bursting runs along the right flank and is the starting point for his sideai??i? ?s most of the attacks originating from that flank. He is quite comfortable on the right wing and is bound to cause truckloads of trouble not only for the rest of the teams in the second division of the I-league next season. He is the most experienced national player in Dodsalai??i? ?s squad having played for India since 2001. Dodsal FC made the first major international signing when they got former UAE skipper Mohammed OmarAi?? to sign the dotted at the end of last month. Omar last played at Al Wasl FC where he had come back to finish his career since he started with them in 1992. He agreed to sign for the Mumbai club as he thinks that it shares a similar passion and ambition which he saw Al Wasl possessed when he started off with them, of not just establishing the game in a nation but of also reaching the pinnacle of the game in the nation. The former Asian Champions League winner maybe in his mid thirties but he is sure that he will be able to give the Indian defenders a lot to think once he sets foot on the pitch. Omar has scored a number of important goals throughout the career including the winner in the finals of the ACL in 2002-03 and the winner against Juventus in a friendly encounter. Wonai??i? ?t you just love to see him replicating these feats once more but this time with an Indian club? One must say that the beginning has been quite impressive for Dodsal FC and the management has a plan in place. 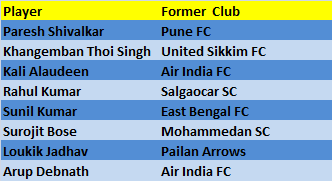 Otherwise current national players like Surkumar, Rafi and Pradeep would not move away from tier one to tier two of the I-league. On top of that there are news coming in from Mumbai which suggest that the club might start a U-19 team as well. Only time will tellAi? ?the other big names Dodsal Group will add to their roster but one thing is certain, some Ai? ?major fireworks are definitely in store for the followers of Indian football in the years to comeAi? ?thanks toAi? ?Dodsal FC. The U-19 team of Dodsal FC is already in place, the practise is going on at Fr. Agnel’s Vashi Navi Mumbai turf ground. Lo Behold they practise for straight 4 to 5 hours. Includes playing with seniors, other clubs, practise, dodging etc. & Swimming too. God Bless they will make a huge impact in the upcoming events. Thanks for the update Mahesh, appreciate it. I really hope the club manages to live up to the hype that has been created with the introduction of Dodsal Group in Indian football. Very less people are aware of the team. I wish through you, try promoting the name & if possible meet the coaches especially U-19 coach Mr. Siddique & also their coaches Bimal Ghosh, Mahesh Lotlikar & others. the name should have a local touch…either mumbai or maharastra…..